This Senior Films Workshop takes place in Sandestin, Florida, directly after the SYNC Conference in the same location! Going to SYNC? Stay two extra days & get your VIDEO learn on! Not going to SYNC??? (First of all, why not? & second of all, you are missing out!) But you are still more than welcome at the Senior Films Sandestin Workshop! This is a cozy workshop, but it is also an INTENSE workshop... it's meant to have you reeling with new ideas when you leave; with a new technique & confidence in your new skill; refreshed & ready to offer something brand new to your clients. Join me for a 2 FULL-DAY learning experience that literally teaches you EVERY SINGLE THING you need to know to shoot, edit & create your very own Senior Films. 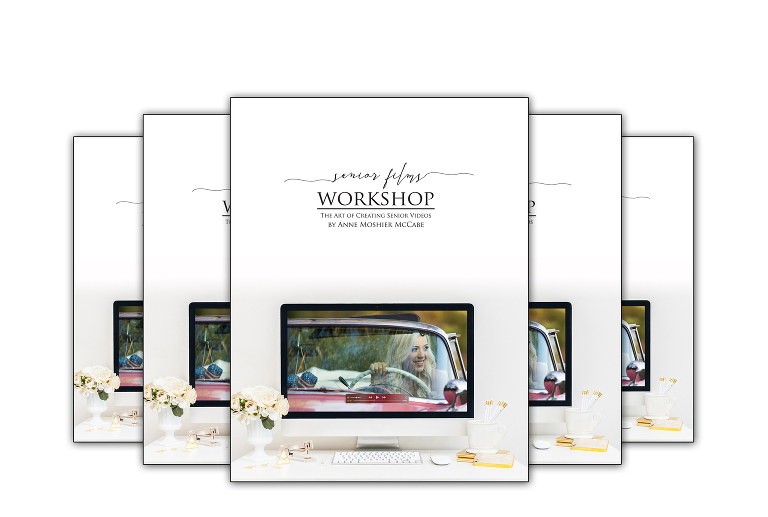 You also receive a workbook covering absolutely everything you learn during the workshop, in addition to editing videos - you know, just in case you forget something once you get home... During the workshop, YOU will create your very own film & you will edit your very own film! Tuesday includes a live demonstration to show you exactly how I work with my clients, then hands-on training & shooting with models all afternoon with basic editing beginning after a home-cooked, complimentary dinner. Wednesday morning begins with in-depth editing & more hands-on training/shooting with models all afternoon; finishing up with Q&A and more editing after dinner (complimentary, home-cooked). The Sandestin Golf & Beach Resort is a STUNNING location with luxurious rooms, beautiful courtyards & limitless areas to photograph/film. If you are attending SYNC, you will simply reserve your room through the 6th & check out on the 7th. 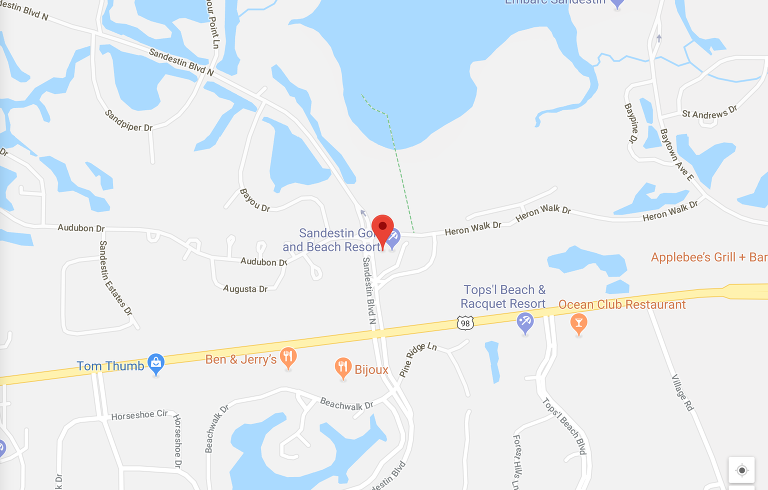 If you are not attending SYNC, please contact the Sandestin Golf & Beach Resort: 855-516-1090 and request a room close to Baytowne Wharf - checking in March 4th & out March 7th. Classtime will take place in the Workshop Condo. A variety of snack foods, desserts & beverages will be provided everyday, along with 2 home-cooked dinners both nights of class. Both lunches - as a group - at the restaurants in Baytowne Wharf (breakfast and lunch are the only meals you are responsible for). In order to keep the workshop at a managable & comfy size, seats are LIMITED to 10 attendees. The workshop is located at the Sandestin Golf & Beach Resort, Sandestin, FL. The closest major airport is Destin - Fort Walton Beach Airport, FL. which is located about 45 minutes from the resort. What if I don't photograph Seniors? While all of the models will be Seniors, everybit of the technique taught during the workshop can be applied to couples, boudoir, families, children & newborns. In fact, the workbook discusses how to work with other genres of photography for filming purposes. I have taught many photographers who specialize in other genres aside from Seniors. Can I see what other attendees have created on their own after learning from you? Absolutely! Click HERE to check out the examples sent to me by previous attendees. What is a realistic goal for shooting & editing times once I practice & implement what I learn at Senior Films? I spend no more than 15-20 minutes of my session time shooting video & my editing time is under 2 hours from start to finish (NOT including wedding films, of course). Attendees have reached these time goals, as well. What extra gear or software do I need in order to attend? You need 3 things: a camera with video capability, THIS specific monopod (click here), and Final Cut Pro X editing software if you are a Mac user/Premier Pro for PC.